Sarah qualified from the British School of Osteopathy in London over 20 years ago. 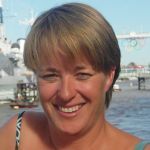 Subsequently Sarah brings a wealth of in-depth diagnostic expertise, experience and wisdom to Holt Osteopaths. Her background as an Orthopaedics and A&E nurse at St Bartholomew’s Hospital in London and wide ranging experience within the hospital setting presents a supportive and confident environment for her patients. Sarah found nursing deeply rewarding and became an osteopath to broaden her anatomical knowledge and practice a more holistic branch of medicine that could be tailored to the patient’s individual needs. Since qualifying Sarah has travelled widely and established practices both here and abroad – in Scotland, Canada and France before opening Breckland Osteopaths in Swaffham, Norfolk in 2010. Sarah enjoys all areas of osteopathy but has a special interest in pregnancy, sports injuries and shoulder problems and also uses acupuncture as a useful addition to her treatments. Sarah has treated a wide variety of patients ranging from new born babies, Olympic sports people to centenarians! Having suffered an acute and prolonged musculoskeletal injury herself, along with undergoing a long period of rehabilitation, Sarah understands the enormous physical and psychological effects of injury. Sarah regularly attends professional development courses to keep up to date with current developments and research and maintains good links with both local GPs and other practitioners both in the Sarah is an active member of the local community. Steven (Sarah’s brother) underwent the same training at The British School of Osteopathy. 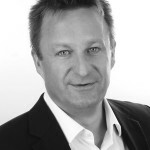 Steven has 15 years of experience as an osteopath and has previously worked in Twickenham and Notting Hill. Steven regularly attends professional development courses to keep up to date with current medical research and maintains good links with both local GPs and other practitioners. Steven has been the osteopath for the British Gliding Team, Brentford Football Club, Twickenham Rowing Club, Twickenham Rugby Club and treated many other sportsmen and women, along with treating everyday medical, neurological and osteopathic conditions.